Rotary International celebrated its 100th Anniversary on February 23, 2005, and Rotary Club of Salem realized 85 years in September 2004. Did we stop there? No! We were only inspired to accomplish more, and that we did. With 43 committees ready and willing, there was always a flurry of activity going on. As a Centennial Commemoration, Rotary Club of Salem built a 1,764 square feet open-air pavilion in Salem Riverfront Park, which was donated to the City of Salem upon completion. Many dedicated Rotarians have spent two years on this project with over 100 local businesses and individuals joining in to contribute to the facility. Our annual Raffle netted over $30,000 to help fund the pavilion and other youth programs in our community. 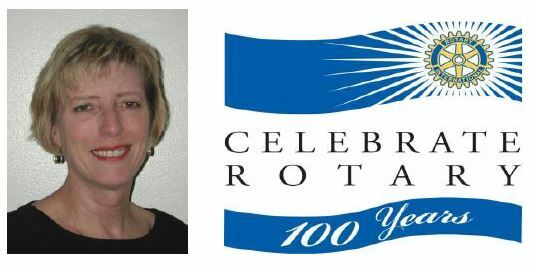 To further celebrate our 100th anniversary, each week a “Centennial Moment” was read at the meeting, and published in our bi-weekly Rotogram to share Rotary’s history with the membership. After many previous attempts, two Interact Clubs were successfully established at North and South Salem High Schools. Our club members also participated in the “No Meth, Not In My Neighborhood.” program to help eradicate crystal-meth addiction. The Marion-Polk Food Share Drive Committee reached their goal of 360,000 lbs. of food and surpassed their $36,000 monetary goal by $2,300. Other successful committees were the Salvation Army Bell Ringing, Tree of Joy Gift Drive, Youth Literacy, Earth Day and Service Day. Our Youth Exchange Program was a highlight this year with hosting a Benjamin Nordurft from Germany, sponsoring an outbound student to Guatemala named Reese McCulley, and hosting a short-term exchange student from France. Additionally, we sponsored an Ambassadorial Scholar to Spain. Monthly, we honored two high school students from North and South Salem High Schools and they each contributed to the Earth Day Program in May. In June, Rotary Club of Salem members hosted five couples on a Friendship Exchange from England for five days; plus we joined other local clubs in purchasing an ambulance that went to Guatemala. Our Paul Harris contributions reached a goal of $20,000, plus donations to the Salem Rotary Foundation.